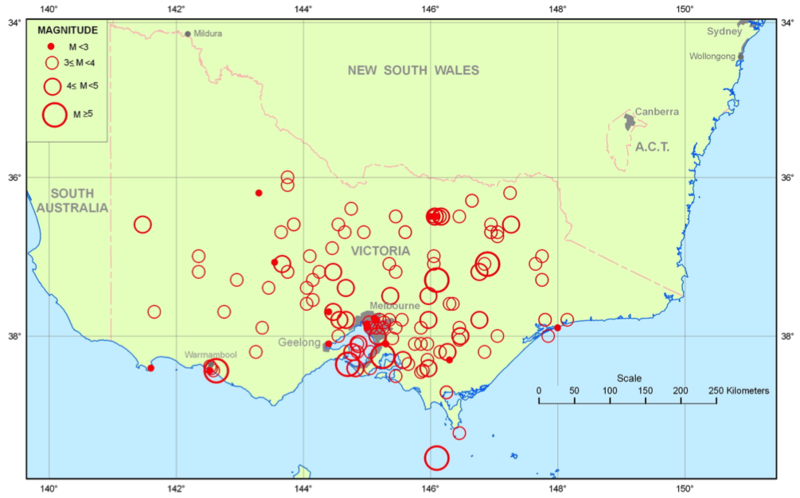 This paper lists felt-earthquakes in Victoria before 1954 with better-substantiated dates, magnitudes and locations. A significant earthquake and aftershock listed in 1868 actually occurred in 1869. 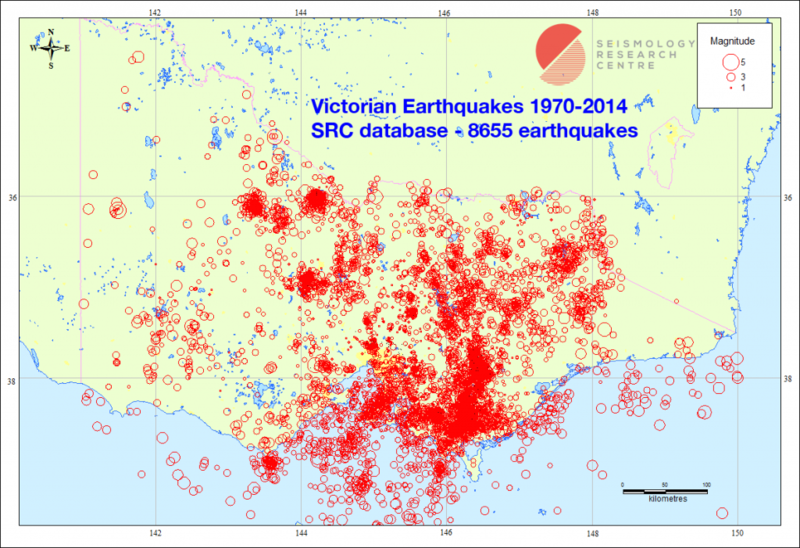 Earthquakes felt throughout Melbourne in 1862 and 1892 and others have been re- discovered; surprising how often earthquakes have rattled Melbourne and suburbs. This and other new information has been mainly sourced from old Australian newspapers using TROVE the Australian National Library’s on-line scans of early newspapers and other sources. A plot of the historical data shows a similar distribution but not frequency of epicentres to the post-1965 data which will lower uncertainties in hazard assessments by improving source zone definitions, activity rates and the magnitude threshold of completeness intervals. The events described include poorly studied, moderate-sized earthquakes that shook Melbourne in 1885, 1922 and Benalla in 1946, let alone the two destructive Warrnambool earthquakes in 1903, each with one small felt aftershock. More damage was caused by these moderate earthquakes than is generally acknowledged.